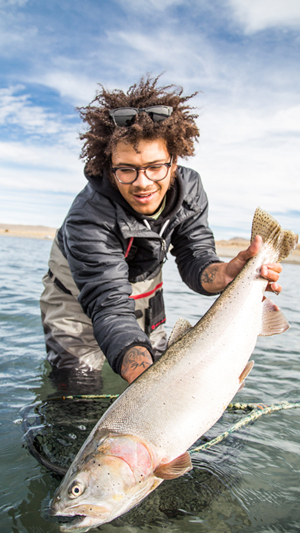 Nevada Archives - Red Truck Fly Fishing Co.
Pyramid Lake, NV – The Pyramid Fly Co.
Pyramid Lake, Nevada is home to the World’s largest cutthroat trout! Pyramid lake is a remnant of the once massive, Lake Lahontan, which used to cover a large portion of Nevada. The native tribe of the reservation are the Paiute’s, who have lived off of Pyramid Lake and the near half a million acres of surrounding land for centuries. The native’s pridefully speak of the history of the lake and they have tales of fish weighing in over 80 pounds, but only a few photos have been documented to show the size that the fish used to grow to. 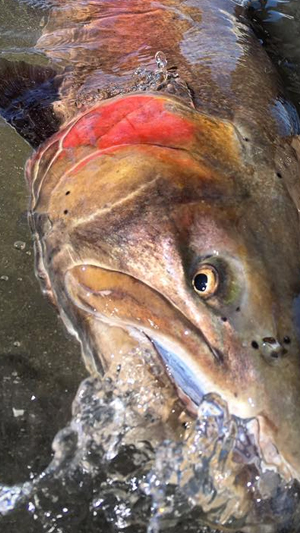 Just 35 minutes from Reno, Nevada, Pyramid is home of World’s largest Cutthroat trout. This is also where the infamous Truckee River ends its journey and empties into the alkali-rich lake. Plentiful in numbers, the lake holds outstanding amounts of massive Pilot Peak and Pyramid (“Summit” strain) strain Cutthroat trout. Many of these fish weigh in over the 10 pound mark and it is not uncommon to see a fish over 20 pounds landed if the conditions are right. Pyramid Lake offers anglers miles upon miles of easily accessible waters to fish. The Pyramid Fly Co. team has spent hundreds of hours in search of the best beaches and tactics that produce the biggest size and numbers of fish. The team has also spent countless hours creating new and innovative flies for fishing this specific watershed. From personal pontoon boats to customized fishing ladders, you will fish in comfort all throughout your day. Not to mention, they will conveniently have their PFC 5th-wheel trailer available for resting and all of your restroom needs. 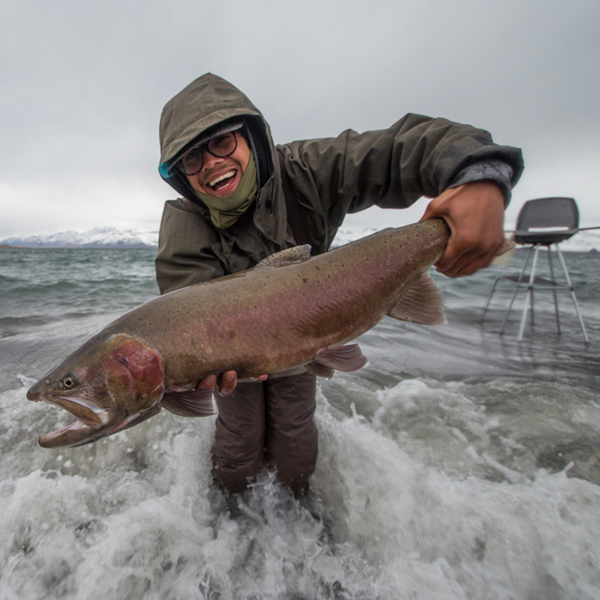 These trips are all about the customer and that’s why PFC offers the highest end guiding services at Pyramid Lake. -Leader and Tippet: 9-foot fluorocarbon 2X to 4X leader. At the end of the leader, attach an 18- to 24-inch fluorocarbon tippet one size smaller. -Flies: Casey’s Midnight Midge, Casey’s UV Midnight Tiger Midge, Captain’s Olive Balanced Darter Baitfish, Captain’s Balanced Midnight Cowboy Leech, Zebra Midge, Blood Midge, Tadpole, Foam Beetles, Wooly Buggers. For more information regarding this amazing fishery please contact us by either phone or email to answer any questions or discuss the various package options available.